We have gained rich industry experience in the field of manufacturing and exporting a wide range of Wire Twister with 2 Pegs. With the help of our ultramodern infrastructure facilities and well trained professionals, we are able to deliver our range of these twisters within the prescribed time frame. We have made the use of stainless steel and quality approved fibers in their construction. 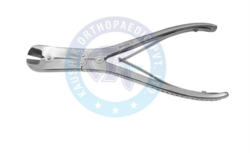 We are specialized in manufacturing and exporting a huge variety of Wire Tightening Forceps. 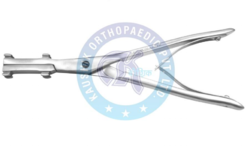 These retractors are available with Circlage that are used in tightening the forceps for fixation during repositioning or temporary. Fabricated from quality tested raw materials, these retractors are available in different specifications that suitably meet each and every requirement of the clients. Size 5/64, 7/64, 1/8' 9/64'. 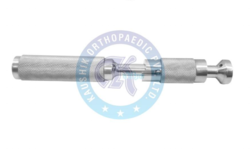 We are one of the reckoned manufacturers and exporters of Bone AWL with Eye that are available in fiber and aluminum handle. 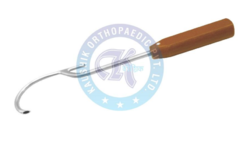 Due to their unmatched quality and high durability, these are used in the medical industry. We have used premium quality raw materials, which are procured from the trusted sources. 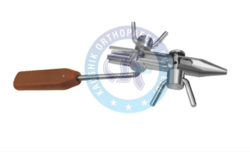 Delivering optimum performance and optimum strength of these instruments make them widely demanded. 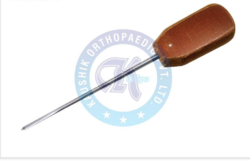 Looking for “Instrument for Pins and Wires”?